Far surpassing the size of a traditional billboard, aerial banners are massive, eye-catching air signs capable of garnering thousands of impressions in just one flight. Their mobility gives them a huge benefit over traditional billboards allowing them to reach consumers in multiple markets in just a few days. 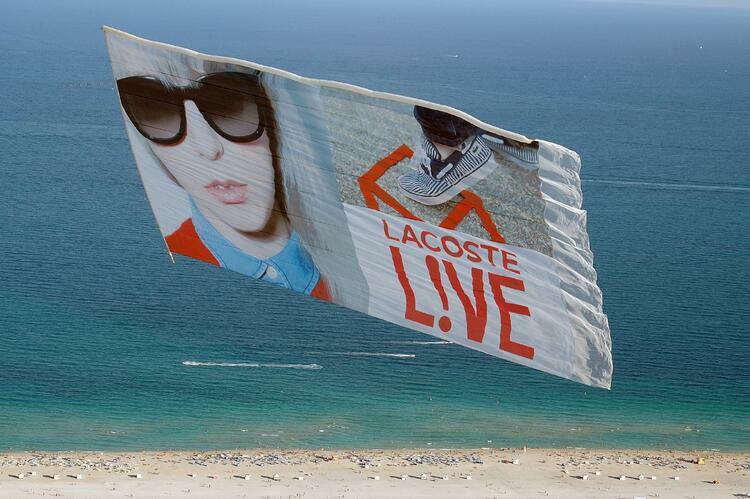 Capable of eclipsing the sun, beach banners offer a memorable way for consumers to connect with your brand. If you are looking for an eye-catching, impressive opportunity to get consumers talking about and engaging with your company, aerial advertising is a prime choice. 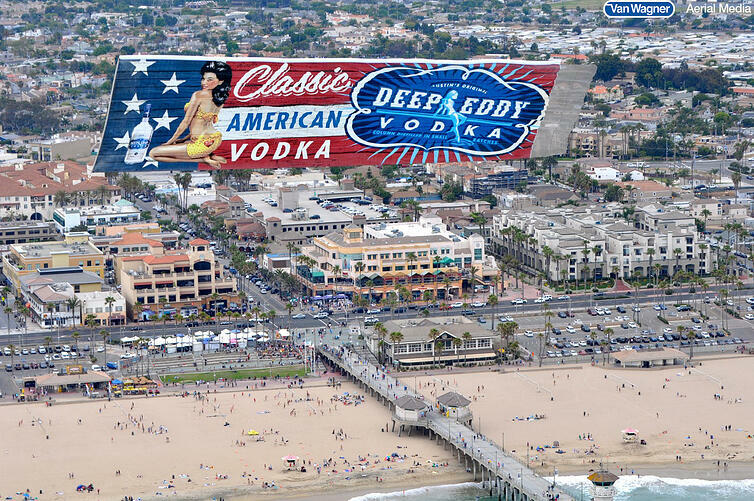 Major advertisers are turning to banner advertising to literally fly above all of the advertising clutter on the ground below. Brands like McDonalds, Dunkin Donuts, GEICO, and Showtime are using aerial advertising to get noticed in an unforgettable way. Consumers see over 5,000 advertisements a day, and there is a massive amount of competition in the space. Brands strive to be the biggest, funniest, and most eye-catching ad out there. By choosing aerial media your brand is getting a leg up on the competition, this compelling form of guerrilla marketing is fundamentally buzz-worthy. Not only will your ad create buzz on social media, it will also create word-of-mouth marketing—the number one way to convert your target audience into customers. Aerial advertising isn’t your typical billboard, digital banner advertisement, direct mail, or television commercial. It doesn’t get lost in the crowd and won’t get skipped over by the DVR. The platform itself has proven the test of time for one very important reason – people notice it almost every time. As one of the most unique advertising media options out there, aerial advertising delivers your brand’s messaging in a lasting way. It is human nature to look up when we hear something flying overhead, and for that reason, your beach banner ad will get the impressions you desire. Aerial banners have a 70% rate of un-aided brand recall—higher than any other form of traditional media. In alignment with this notable statistic, aerial banners also have one of the lowest cost-per-impression values, or CPM. Meaning, you’re paying a minimal amount for a large number of targeted impressions. Upon planning an aerial banner campaign, remember that your aerial ad can be flown over and over again in markets across the country. You’re not buying a one-time media placement, look at your banner as an investment that can soar above high-traffic beaches across the country.